Advance Directives for Health Care and why you need them. Do I need to prepare an Advance Directive for Health Care? Every adult has the right to make decisions about their medical treatments as long as they are mentally capable of doing so. This right is called informed consent and means that a doctor or nurse must explain the purpose, benefits, and risks before a patient agrees to treatment. An Advance Directive for Health Care is a legal document that allows a person to state what medical treatment they may receive should they become incapacitated. 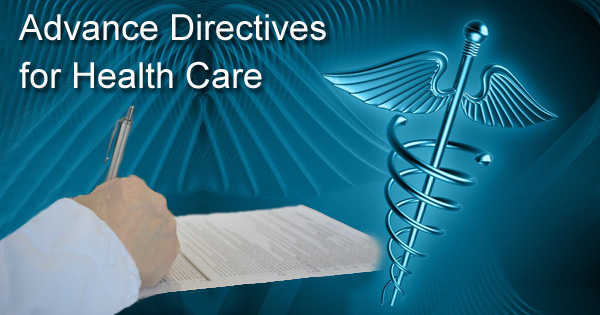 An Advance Directive for Health Care is a legal document that allows a person to state what kind of medical treatment they may receive should they become incapacitated and communicate their wishes to their family, friends and physicians. The Medical Power of Attorney, Directive to Physicians and Do Not Resuscitate Form are considered Advance Directives for Health Care; they do not affect a person’s property or finances. We typically think of Advance Directives as necessary in situations where a person has a terminal illness, but anyone can be injured or become ill suddenly; for example, a person could suffer a stroke or be involved in a car accident. This document allows you to designate another person as your agent and gives that person the authority to make health care decisions on your behalf, according to your wishes and religious and moral beliefs, if you are no longer able to do so. If you do not have a Medical Power of Attorney, the only people who may consent to your medical treatment are 1) your spouse, 2) a parent, 3) an adult child, 4) a majority of your adult children, or 5) an individual clearly identified to act on your behalf before you became incapacitated, such as your nearest living relative or a member of the clergy. Directive to Physicians and Family or Surrogates (Living Will). This document specifies what medical treatment should be administered or withheld if you are diagnosed with a terminal or irreversible condition. Some examples of life-sustaining medical treatment that might be included are cardiopulmonary resuscitation, artificial respiration and artificial nutrition and hydration. Out of Hospital/Do Not Resuscitate Form. This document instructs emergency medical providers and other health care personnel to forego attempts to resuscitate and permit a natural death. It does not affect the provision of other emergency care, including comfort care. Declaration for Mental Health Treatment. This document allows you to make decisions about three types of mental health treatment: convulsive therapy (or electroconvulsive therapy), psychoactive medication, and emergency mental health treatment. Your instructions in this document will be followed only if a court determines you are incapable of making decisions about your treatment; otherwise you are considered mentally capable to accept or refuse treatment. The Patient Self Determination Act (1990) encourages everyone to decide the types and extent of medical care they will accept or refuse. This Act requires that all health care agencies recognize the Living Will and Medical Power of Attorney. Advance Directives operate only when you cannot make your own decisions; they do not affect your medical care when you can. Your agent can only act after a physician has certified in writing that you are incapacitated and medical treatment cannot be given or withheld if a patient objects, regardless of a Medical Power of Attorney or Declaration of Incompetence. The best time to prepare an Advanced Directive is before you need one. Decide which documents you will need and consider the following guidelines as you make decisions regarding future medical treatment. Discuss your wishes with your spouse, family, partner, close friends, doctor and attorney. Decide who you want as your agent. Choose someone who will be able to carry out your wishes, even if it means acknowledging a Do Not Resuscitate form. Be specific about the treatments you would accept or have withheld, such as CPR or medications. Give copies of any Advance Directive to your agent and family members to keep in a safe place and make sure the original is accessible. Do not lock it in a safe where only you can reach it and make sure the documents are clearly marked. Consult an attorney if you need further help. Advance Directives take effect immediately after being signed before a notary or two adult witnesses. 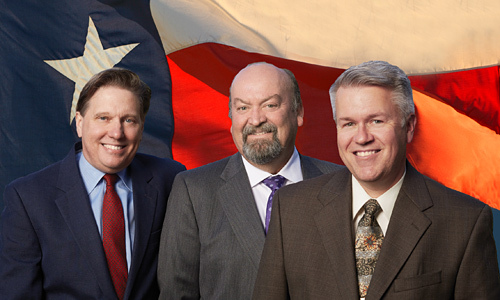 Texas law permits Advance Directives to be signed and notarized using a digital or electronic signature. If you are unable to sign a document yourself, you may have someone else sign it for you, but the document must be signed in your presence and at your designation. Advance Directives may be revoked at any time by notifying your agent or physician of your intent to revoke, orally or in writing. A Medical Power of Attorney can be revoked by divorce or executing a new one. Revocation becomes effective regardless of a person’s capacity to make healthcare decisions. For more information and examples of Advance Directives see, The Texas Health and Human Services.